The construction of Daming Palace National Heritage Park has both provided Xi’an with a remarkable amenity and has moved the city’s center of gravity. Like New York’s Central Park, Daming Palace Park will create a wonderful educational and recreational resource and will rede ne the nature of the city around it. Not simply will the value of sites at its perimeter increase dramatically, the park will propose a particular kind of urban design in the depth of the area of its in uence. Indeed, the new park has the potential to create a kind of place that Xi’an does not yet have, the equivalent of Fifth Avenue or Central Park West, areas of density that derive their form from their views of the great green public space. Xi’an Castle aims to be part of this new architectural ensemble surrounding the park. 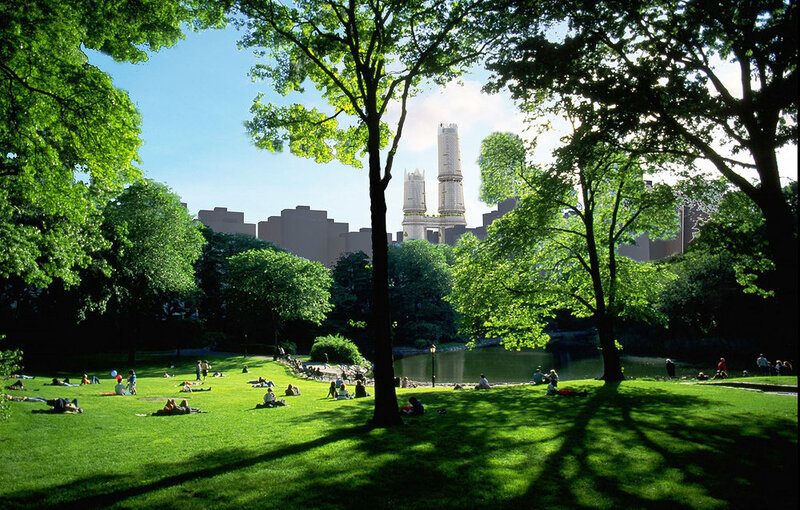 Although a couple of blocks away, it nevertheless will become part of the skyline that de nes the experience of the park and will encompass dramatic views of its vast space and of the city as a whole. We have designed the building to have a strong image that evokes many of the themes of the park itself: a sense of history, an idea about green architecture, a mix of uses and people, the creation of public spaces and links to its neighbors, and great liveliness. To accomplish this, we have created a mixed-use complex that serves both itself and its surroundings. The program combines substantial commercial space in both street and interior mall formats, residential space, of ce space, and a luxurious hotel with a dramatic sky-bridge for public and recreational functions. The building is also carefully attuned to the latest environmental best practices and includes natural ventilation, careful attention to solar shading, a system of grey water recovery and re-circulation, very low carbon emissivity, and a variety of other intelligent building systems to assure minimum energy consumption. 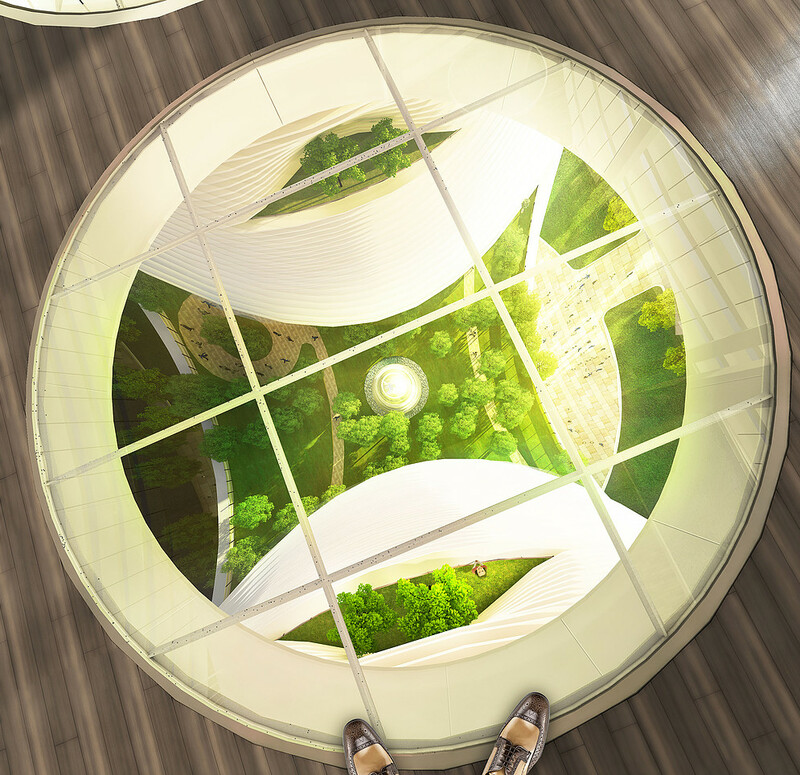 The building is also dotted with sky terraces that will bring gardens to virtually every level, providing a remarkable and unique amenity. Truly, nothing like the Xi’an Castle has been seen before. Credits: J. Gu, Y. Liu, M. Okazaki, M. Sorkin..